Of late, the Malawian President His Excellency Ngwazi Professor Bingu wa Mutharika has made some very out of the ordinary remarks on the podium that have had listeners in stitches. Mutharika made Malawians, and many citizens of other nationalities living in the country, end the year 2011 ridiculing and parodying him just as they did resent him. After a series of insults on his critics, Mutharika wrapped up the year with a Christmas and New Year’s message where he heaped blame on Satan for being the architect of the myriad problems the country has been going. While debate on his reasoning to push the blame on Satan was still hot, the president was on the former ruling parties- MCP and UDF- accusing them of creating fuel shortage. International chain stores were not spared. He condemned them for externalizing forex. His unorthodox way of thinking only showed how the 78-year-old ruler is perfectly capable of totally irrational reasoning. Building storage facilities for fuel reserves is going to solve the fuel crisis his administration has created, in his thinking. He forgets that since 1964 when Malawi got independence the country has used the same fuel storage facilities available. For 47 years (31 of Dr Hastings Kamuzu Banda and 10 years of Dr Bakili Muluzi) Malawi has never experienced such a fuel crisis where people have spent nights at a filling station. Yet they were using the same reserves. Perhaps Mutharika is forgetting that the country has fuel storage facilities enough to keep fuel for 20 days. But fuel is not just there; any fuel imported is not stored, but immediately distributed to lessen the terrible shortages. Goodall Gondwe, Minister of Energy, has a more realistic view: Malawi is only importing 50 percent of its fuel demands, and even a child understands that that creates the shortage. It would appear the president has now mastered the art of blaming others for his own problems instead of taking responsibility for his own policies. While he keeps blaming others most of his ministers have publicly declared that the fuel crisis has been created by forex shortage. Some even seem to understand that the only way to solve the forex shortage is devaluation of the kwacha. But Mutharika will have nothing of it, for purely imprudent pride. He maintains that devaluation of the kwacha is going to hurt the poor, and benefit a few speculators. That devaluation is inevitable, and that putting it off for so long created the problem of speculation is beyond his comprehension, as well as the simple fact that putting it off any longer is only going to make the problems bigger, and the speculation worse. On top of that, overvaluing the kwacha is destroying the fragile Malawian economy: companies laying off workers, work below capacity, or are closing all together. Investment has come to a halt, as the insecurity of his stubborn policies makes Malawi an unattractive destination for any well thinking investor. On top of that the rule of law is absent, which also scares off any capital inflow. Think of the deportation of tobacco bosses, British High Commissioner, illegally closing of Kande Beach by Patricia Kaliati and the threat of disrespecting the contracts between Malawian government and Paladin by Reserve Bank Governor Perks Ligoya, among others. Recently, we read in media the former President Dr Bakili Muluzi was willing to offer government his advice to bail the country from its current mess. He does not simply publish his advice, as Mutharika’s spokes puppet Hetherwick Ntaba advises, but attaches conditions on how he should be treated for him to dispense his wise words. But what Muluzi seems to forget also, but all other inhabitants of Malawi remember, is how relieved we all were, when Mutharika in his acceptance speech in 2004 made clear he was not going to follow Muluzi policies. We loved it (at the time) because Muluzi had, specifically in his second term, destroyed the Malawian economy on a hitherto unprecedented scale. Corruption and nepotism went through the roof. Some donor money was reportedly diverted to the extent that donors started to avoid Malawi, because it was impossible to successfully implement projects, the money invariably got stolen somewhere down the pipe line. This shows a wider problem that we have in common with many African countries having a ruling class that has a gigantic sense of entitlement to power and riches regardless of performance or capacity. We see that in Mutharika, he acts like he is stung by a hornet to any type of positive criticism or even advice and messes up in the process. 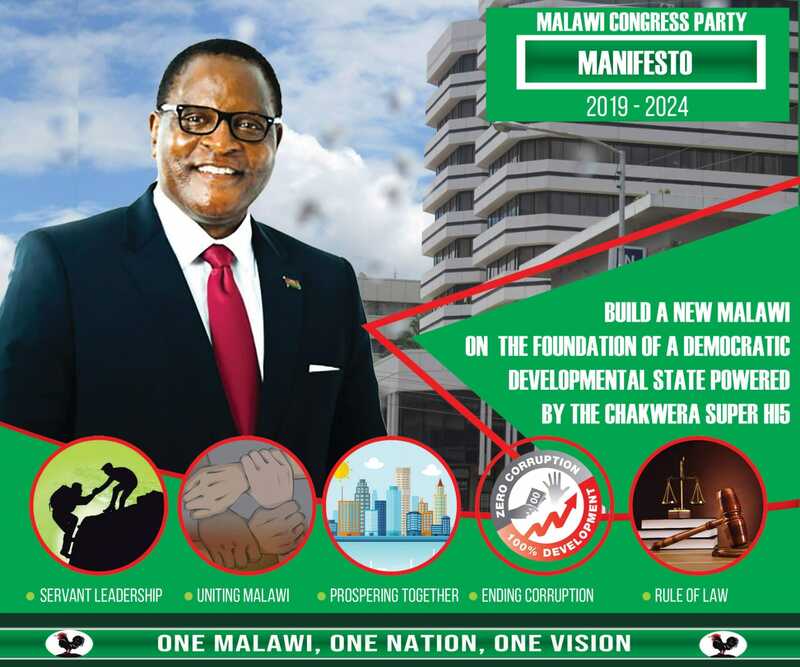 Malawi Congress Party’s John Tembo keeps trying to win the presidency, even though his age makes him just as unfit for such a demanding task as Mutharika. And after all the atrocities he carried out when he was de facto leader of the country and responsible, he should just sit back and leave the direction of the country to people more adept at getting us out of the mess we are in. When Atupele, son of Muluzi, announces his aspiration for presidency, a whole army of aged men comes to movement, and starts pulling him down. All their life they have been waiting for their turn to power and the content of the state’s coffers, and then someone younger tries to jump the queue. But, old gentlemen: there is no queue. We need someone with a sharp mind to lead the country out of the current economic and governance meltdown we are in. Atupele, himself from the ruling class, so far has not offered anything new. Young, but just as much overcome by his own right to rule over the people who actually make the country function. Joyce Banda and her Peoples Party (PP) comes up with recycled ideas, and recycled politicians. This will not take us on the road to prosperity. They are the same ideas, policies and people who have failed us so far. Remember: at this moment our GNP per head of the population is lower than in 1964, at independence, this means that our politicians so far have grossly failed us. The developed world developed further, and we regressed, while the growing world economy offered possibilities to grow along and do business. The Asian tigers understood, and their prosperity grew at enormous speed, the Chinese and the Indians came from poorer background than us in 1964. So it was not the situation of a developing country in the intermediate time. It was our policies. Those politicians have failed us, and they need to go. What we need is a very different type of politics, and a very different type of politician. We need people who are technocrats to begin with, who understand the workings of economy, governance, diplomacy and politics. And not just the much-ballyhooed economic engineers. On top of that they need to have a political vision. smaller civil service and more free market economics? strong but efficient (totally overhauled) civil service, with high taxes and lots of efficient services from the state for the population? • Communism seems unrealistic in the 21st century. And then, third, but not least, the politician we need must be honest, not stealing from the state, for him/her self or for their own regional group. Once we have this type of politician, we can make choices as an electorate, which way we want the country to go. And on the downside we will have to pay for our own funerals. Or set up a state funeral service, with equal access for every citizen, regardless of their tribe or political affiliation.